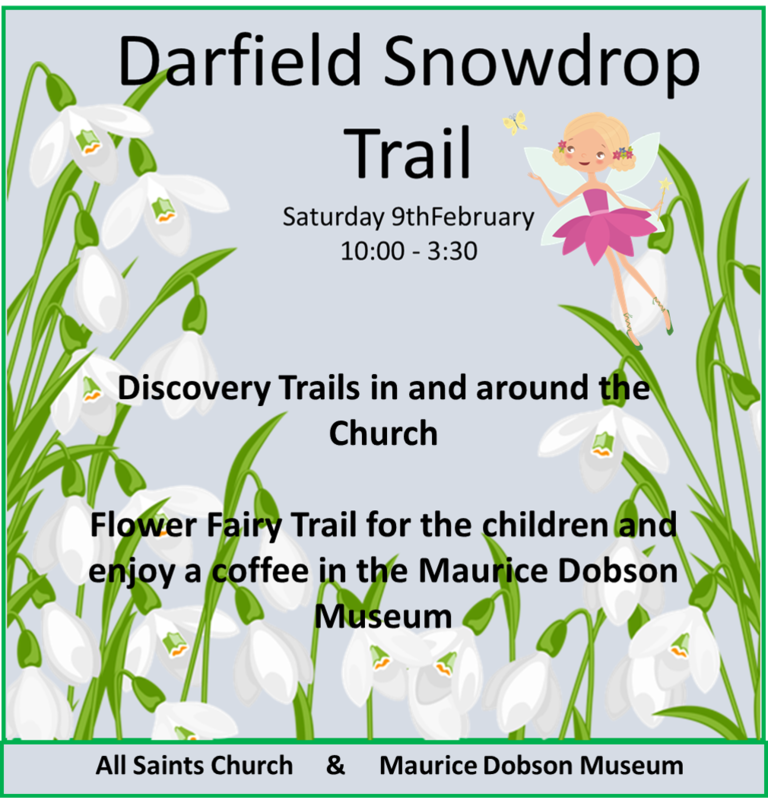 Why not come along to the Darfield Snowdrop Trail on Saturday 9th February? The event will be running between 10am and 3:30pm at both Darfield All Saints Church and the Maurice Dobson Museum. Come and see the stunning display of Snowdrops in the Churchyard at All Saints, Darfield. Discovery Trails are also available for children and adults. The Church will be open for you to look around. Hot drinks available in Church. Refreshments served in the Museum Cafe.